Many thanks again for a fantastic day's training. Fab session which whizzed past (even on a v. hot Monday afternoon just before half term!). Loads of ideas which I can`t wait to use. Dear Andrew, Thank you for an inspirational day yesterday; really good to re-focus our energies of effective Maths learning for the new year! I have had nothing but positive feedback from both pupils and staff following your shows last Thursday – we all enjoyed it very much! Andrew, thank you for all your wit, wisdom and inspiration during your time here at Alice. Today I enjoyed a maths lesson for the first time in 38 years. Why not subscribe and get FREE ideas? 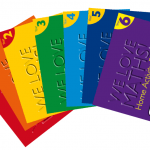 Get FREE teaching ideas and resources monthly, exclusive offers, maths education news, inspiration and more. Welcome to our exciting website! We are very pleased to bring you what we hope will be an invaluable resource for schools and teachers alike.